It’s a little known fact that Aprilia holds the most number of wins of any European manufacturer in the history of motorcycle racing. The brand has 294 Grand Prix wins in the Road Racing World Championship and an equally impressive 54 world titles: 38 in Road Racing World Championship (20 in 125cc and 18 in 250cc), seven in Superbike (Rider and Constructors championship wins in 2010, 2012 and 2014 and Constructors championship in 2013) and nine in Off-Road (7 in Supermoto and 2 in Trial). So it’s no surprise then that racing runs in the brand’s blood. It's been 10 long years since the Aprilia RSV4 first broke cover, back in 2008. Despite the age, the bike still managed to give most manufacturers a run for their money, and why wouldn’t it? It was the very first bike in its segment to use an inertial measurement unit (IMU) that worked in sync with traction control, and even the first to feature ride-by-wire. 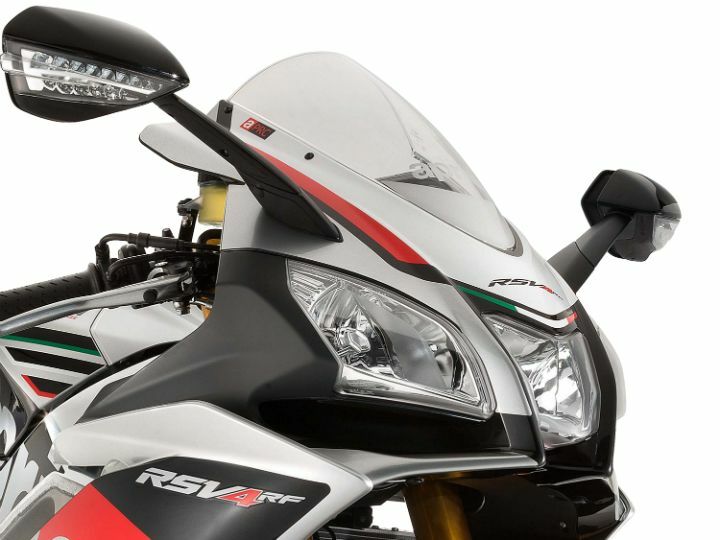 Over the years, the RSV4 has received some substantial electronic updates such as Aprilia’s race-developed APRC (Aprilia Performance Ride Control) system. This includes traction control, wheelie control, launch control, quick shift and cruise control. Now though, according to a report from GPOne, the Italian superbike manufacturer is more focused on developing a brand new heart, which is supposed to put out somewhere around 217PS to 223PS of power at the crank compared to the 203PS on the current version. That's enough power to put an ear-to-ear grin on your face! Supposedly, the new motor will also comply with Euro-V emission norms. The engine is set to be offered in two states of tunes. The 1000cc motor will cater to the RSV4 and RF variants for the future, while the Tuono will employ a larger displacement 1,100cc engine. Based on the current aluminium twin-spar design, Aprilia is also working on a new chassis for its superbike, which will be stiffer and lighter by around 5kg. Like always, the company isn’t holding back with electronic gizmos for the motorcycle. We may even see some segment-firsts in the litre class siblings, borrowed directly from its MotoGP counterpart. The 2019 variant might sport some aerodynamic features too, which we’ve reported earlier. Having spent over a decade with the same visuals, we’d expect Aprilia to finally give the bike a much-needed overhaul, however, what the company has in store in terms of looks is anyone's guess. Stay tuned for further updates.